Welcome to The Ton's Third Anniversary Release Blog Hop! 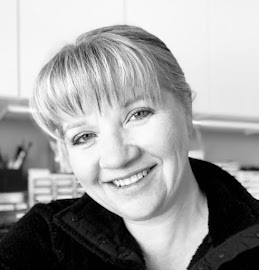 If you have arrived here from Lisa Harrolle's blog, then you are in the right spot! If you would prefer to start today's Blog Hop from the beginning, please click HERE. Chris Dayton - that's me! 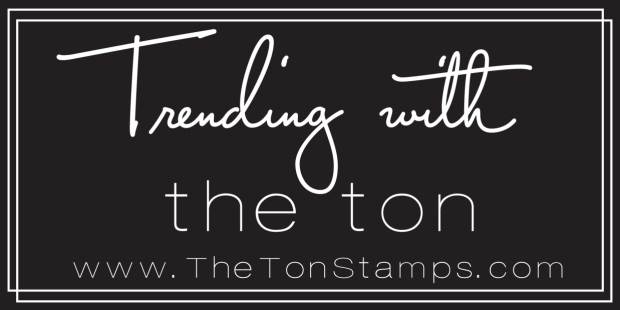 I'm thrilled to be invited to again participate as a guest for The Ton's new release! This anniversary release is so amazing and I had so much fun creating with these new stamps. 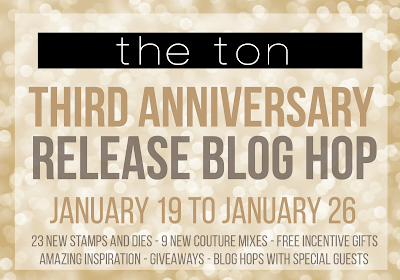 The Ton has 23 new stamps for their Third Anniversary Release which includes up to two free gifts with qualifying purchase (Daisy Duet and Peony Notes Bundle A+B+C). 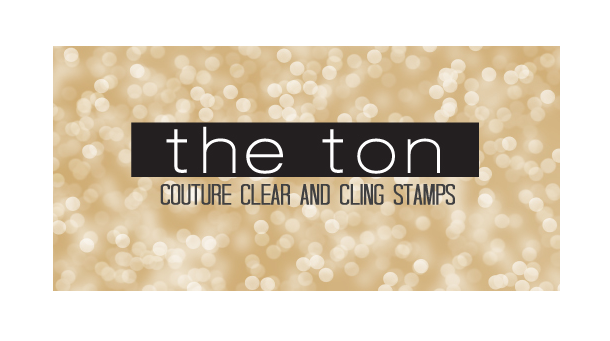 For more information on The Ton’s incentive gifts, head over to The Ton’s blog . All new release products are available now! You are going to love these new stamps! Here's a sample of the new Coming up Daisies set, colored with Copic Markers on an X-Press it blending card. This new Haute Gala Dress is just stunning. It's a large 6" x 8" set, so the beautiful gown can fill a larger card, or be wrapped to the back side of your A2 card! I chose to make a single layer A2 card. I began by making a mask with my MISTI, Mask-it masking film and Stazon. I carefully trimmed it out with scissors. 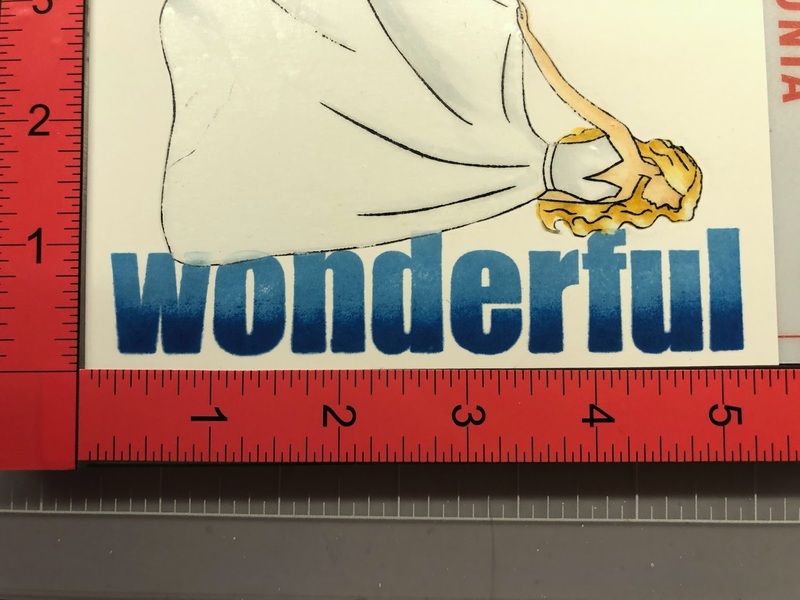 I then stamped twice onto a 5 1/2" x 8 1/2" piece of copic friendly cardstock with Versamark ink, so I would have just the faintest outline which to use for my coloring. I left my stamp in place on the lid of my MISTI, to come back to later to emboss after all of my coloring and inking was complete. 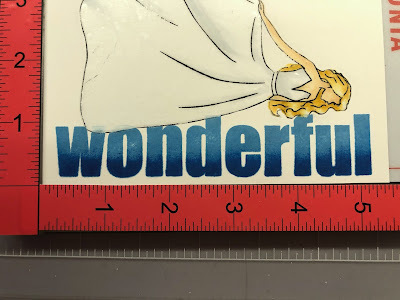 I then placed the temporary adhesive-backed mask over my coloring, to protect her dress from the blue ink, and brought out my second MISTI and started to slowly build up color on my large word stamp from Seriously Amazing. I inked the top half of the word first with Blue Diamond ink. Then began to layer ink slowly on the lower two-thirds of the word with Cali Blue, and finally inking the lowest third of the word with Cobalt Breeze ink. I removed the mask from the girl, scored and folded my card. I wanted to score and fold BEFORE i heat embossed. 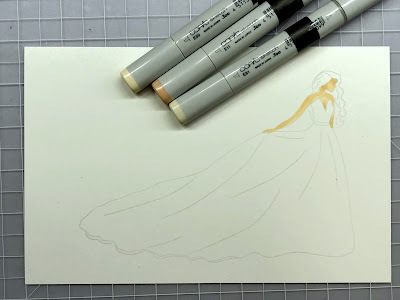 I then went back to my first MISTI and carefully inked the girl's hair, bodice, arm, and only the edges of the dress with Versafine ink and clear embossed. 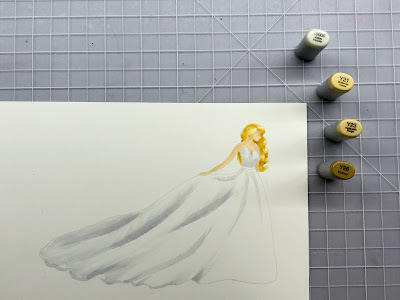 I then removed the dress outline stamp from my MISTI, and carefully lined up the dress layer. I heat embossed twice with clear embossing powder to build up a nice layer of embossing. I then sprinkled a very light layer of Nuvo Sparkle Dust ultrafine glitter over the embossing, trying to apply the glitter to the dress only. This glitter is not an embossing powder, but a glitter only, so holding my glitter covered card carefully horizontally, I used my heat gun to heated from the underside of the card to soften and heat the previous double layer of clear embossing just enough that the Sparkle Dust would stick. Once cool, I poured off any excess Sparkle Dust. I then added the additional greeting from Seriously Amazing over the word "Wonderful", heat embossing it in silver. There are so many gorgeous stamps in this release. I experimented with Copic coloring "Black" Tulips with the new Loose Tulips set. 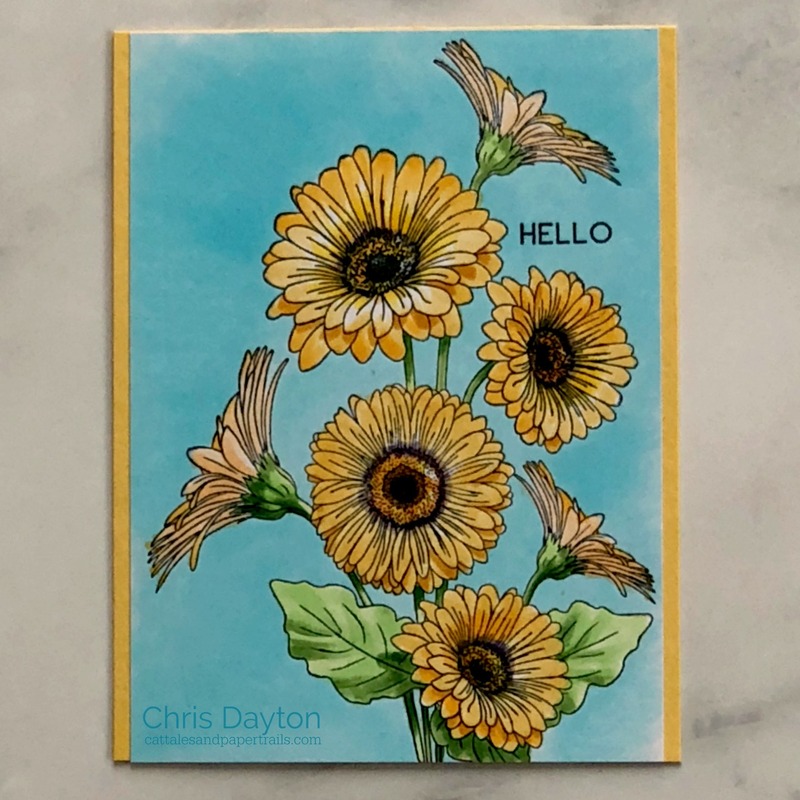 I stamped with Memento Summer Sky ink for no-line coloring on an X-Press it blending card and used Copic BV 23, 25 and 29 for the blooms, and YG 11, 03, G24 and YG 67 for the foliage. On this card, I made mutiple masks from 2" Post-it tape for the large solid images on Fresh Cut Daisies to be able to mask and build this bouquet of layered Daisies. I stamped the largest solid daisy in the foreground first then masked it, then I built my bouquet backwards, adding each solid layer of the bouquet and immediately masking that image before adding the next. Once the shape of my bouquet was finished, I worked in reverse, adding the next two layers to the last solid image first, before moving on to the next to last, etc. I replaced masks as necessary, if I felt my layering would overlap where I didn't want it to be. Once I had completed all the layering, I masked the leaves and lower blooms and stamped the crystal bowl from Peony Bouquet in Crystal Pewter ink. I left the stamp in place in my MISTI when I added a bit of C0 and C01 copic marker to add a bit more shading to the diamond shaped in the image, as well as colored the background. I then went back to my MISTI and restamped the crystal bowl with Versafine and heat embossed with Wow! Diamond White embossing powder. 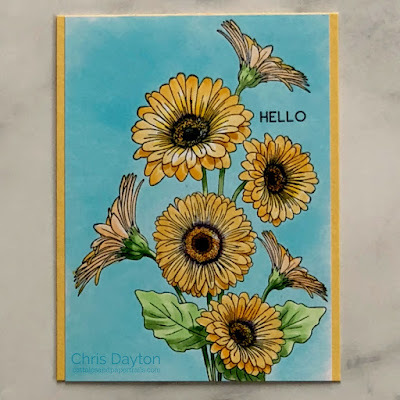 The greeting, from Growing up Daisies was heat embossed in black to a thin strip of vellum and adhered across the panel. 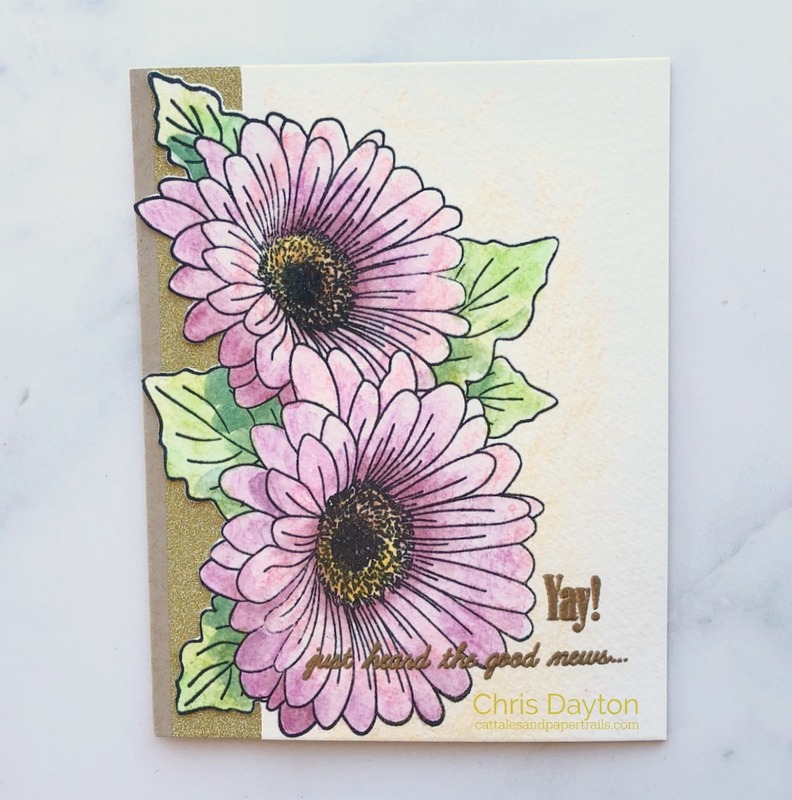 One final card, uses the watercolor pencils and the big daisy blooms of Daisy Duet. That's all from me today. Thanks for stopping by! But before you go... it's just not a party without some amazing blog hop prizes! Have a wonderful day! Happy Stamping! WOW! These are so gorgeous, Chris! LOVE them! Love the Haute Gala Dress card. So beautiful! These are so beautiful Chris. I love the bride. Tough choice to pick a favorite. Chris, wow, just such amazing ideas! The dress is amazing! So is you video! Love how your daisies pop! Beautiful cards Chris!! 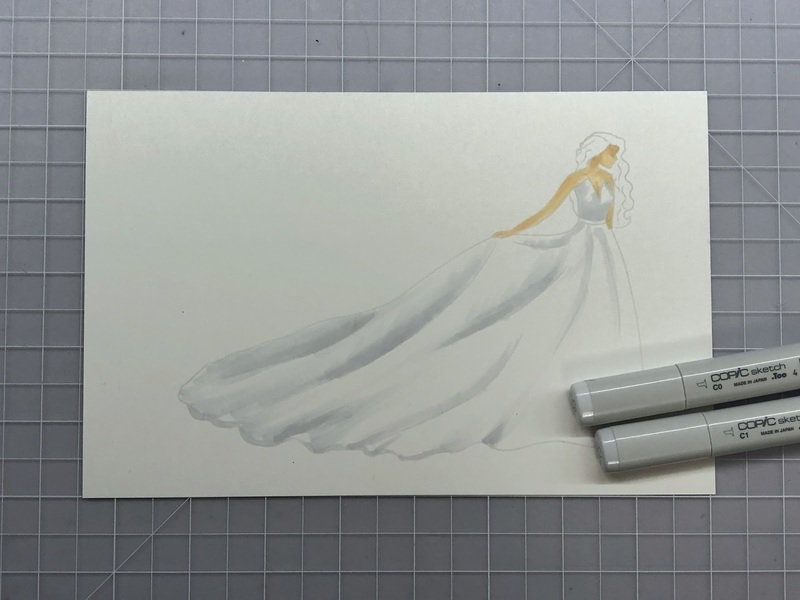 I love how you have the dress continuing to the back of the card!! 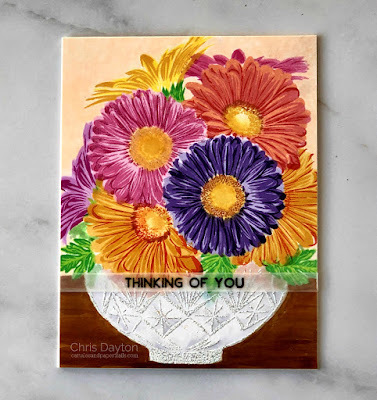 Your cards are all perfectly beautiful, but I’m drawn so much to the daisy bouquet. Thanks for sharing your techniques! Wow ! You made such a beautiful job with this set of cards ! My favorite is the job you did on the gala dress : wonderful ! She looks like a bride ! Lovely cards. The daisies in the bowl is stunning! Hi Chris, your cards are all beautiful! I think I love the daisy duet the best. Wow, so much gorgeousness packed into one post. Beautiful cards. Love what you did with the haute gala dress... so elegant and wonderful. Wow your cards are seriously Amazing !! Loved the colouring and placement of sentiment on first one a lot ! Beautiful cards! 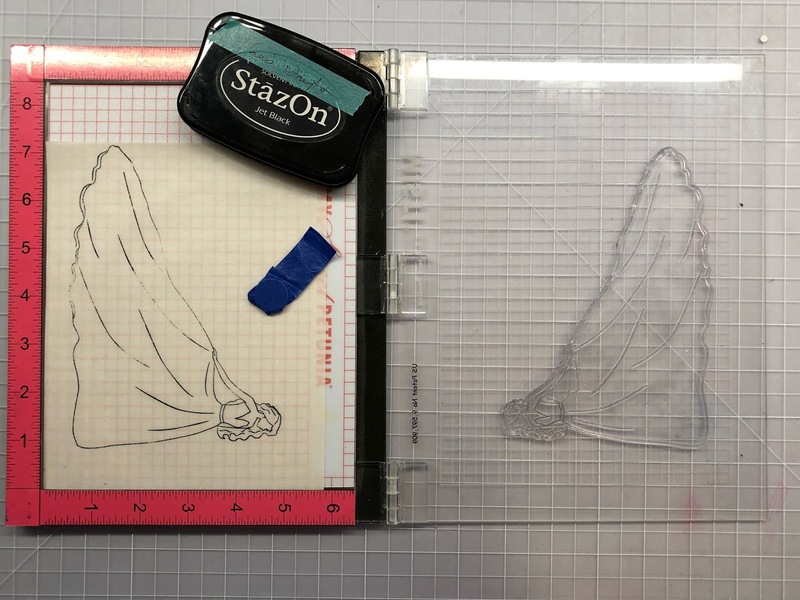 I’m fascinated by your process with embossing after you color. I’m going to try this as it brings beautiful results! 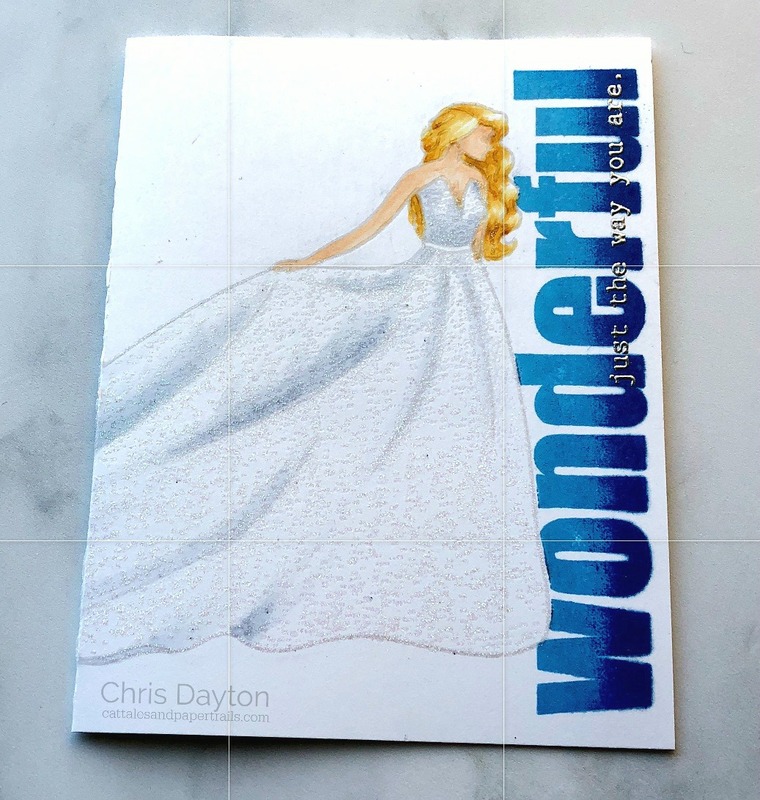 All kinds of wonderful cards, especially loving the Wonderful card with the lovely dress! So many cool ideas!! Love having the dress trail to the back like that! Never would've thought to do gray tulips - they're amazing!! Swooning over the black tulips...so unique and different! I always love a video and learned some great tips from you...I think I may need a mini Misti!!! wow! the way you made that dress is stunning! Very pretty floral cards and beautiful dress. Beautiful cards! The dress is gorgeous. And, the tulips are so pretty. Liked your video and am now a subbie. The Haute Gala dress is awesome! I make a lot of wedding cards and can think of lots of uses for it! Amazing cards. Such beautiful coloring. Love the dress stamp -- so unique. Absolutely fabulous Haute Gala Dress!! Five very beautiful cards! The haute dress is really fabulous. And I love the black tulips; unique. Gorgeous cards! Love all the beautiful florals and the dress... so pretty with the added sparkle! So many stunning creations! Your colouring is beautiful! What awesome cards! Your coloring is stunning. I love the crystal bowl. And that dress - OMG jaw dropping gorgeous. Love how the black tulips turned out. Lovely cards, your coloring is fabulous. Wow! All of your cards are gorgeous! Love your coloring and compositions. Thank you for sharing your creativity and inspiration. Gorgeous cards, the Haute Gala dress is especially stunning! 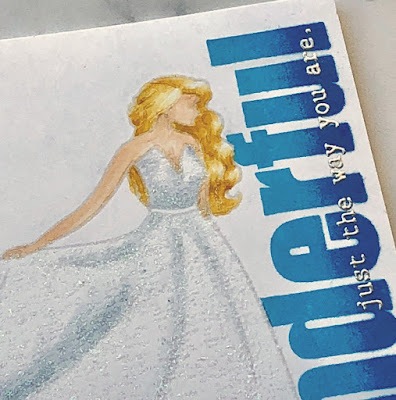 Beautiful job on all your cards, but the Gala Dress is outstanding! 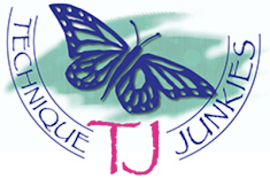 TFS your inspiration and talent using these new products. These are lovely! That black tulip set is gorgeous! It looks so realistic and your coloring is stunning! Your cards are soooo amazing. I'm partial to flowers, but you did an incredible job with the Gala dress. I really loved your daisies in the the crystal vase- perfection! Such beautiful ways of using the blooms but I would like to add that the dress is absolutely brilliant. Can't go past the Haute Gala Dress card. Everything about it is just perfect. I am intrigued by the technique you used to apply the glitter to the dress, I must try it. Also love the way you used the train to decorate the back of the card. Even the sentiment is just perfect - the ombre colour makes it pop. It would have to be my favourite card of the blog hop to date!!!!!! Wow. What a gorgeous set of cards!!! 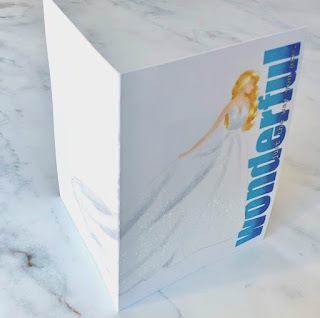 Love love the wrapped dress around the back of the card!!! Your cards are incredible! 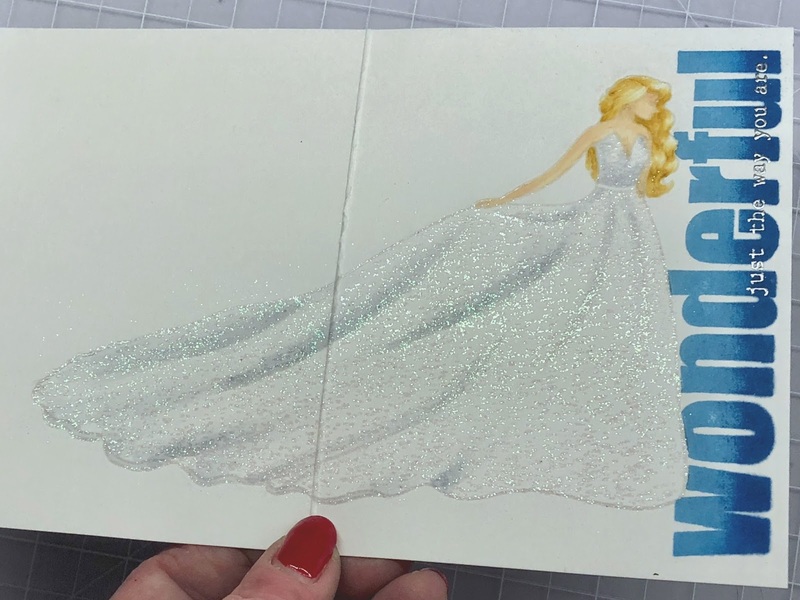 The detail in the wrapped dress card is stunning! Wow! The black tulips are lovely! Beautiful cards, all of them - gorgeous colouring and fab designs! Thanks so much for sharing and inspiring! Awesome stamp sets! Great cards, I absolutely love your lovely lady, thanks for the tip about heating from the back when getting glitter to adhear to previously clear embossed image! That gorgeous dress!! And the black tulips. Great great cards! Wonderful cards. The dress was amazing. Oh my goodness!!! I'm totally in love for your breathless cards!!! 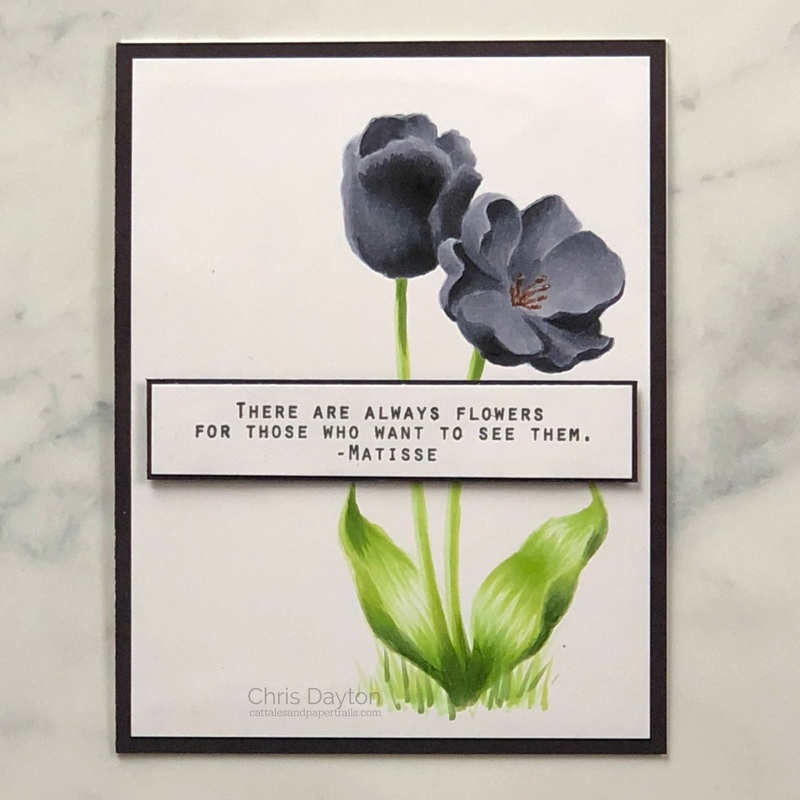 All of your cards are beautiful...drawn to those black tulips...gorgeous. So many fantastic cards! I love that dress!!! Seems a lot of work on the girl card but the result is very worth it!-Maria Giselle B. These are all amazing! Love how you colored the loose tulips. Somehow amidst all the florals, I missed the haute gala dress, so your card made my jaw drop. 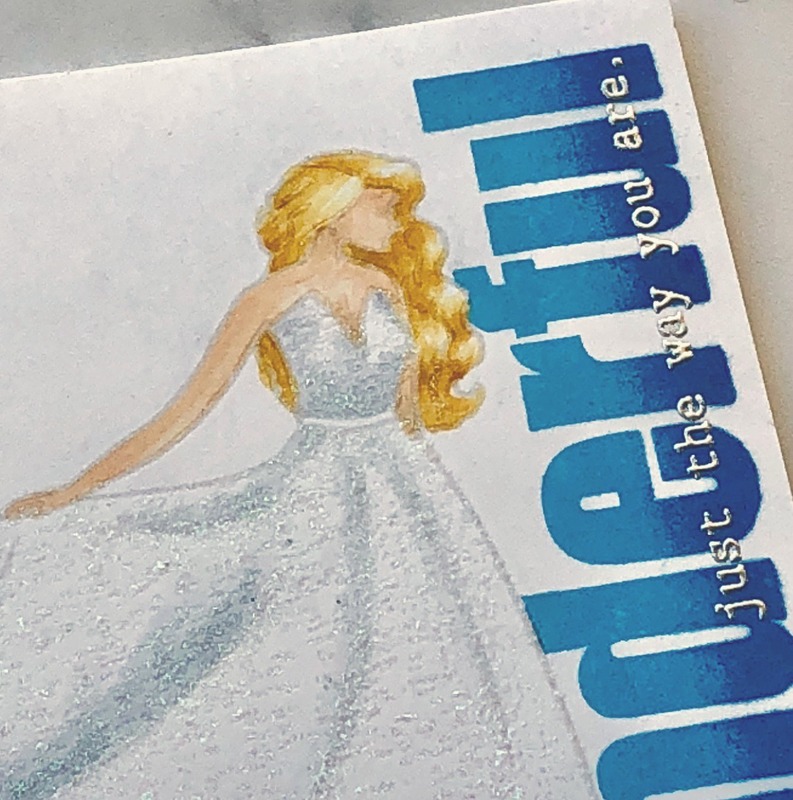 I love the wrap-around to use the entirety of that amazing stamp, and your shading is the perfect complement to the sparkles. I know you used the daisy set for your flowers in a jar, but it has a distinct Van Gogh's sunflowers vibe to me, which I love. Basically, I can't believe all the cards you made for us to be inspired by! Thanks so much for sharing. Those black tulips are amazing! Oh, girl! You were busy!!! These are stunning; each and every one! 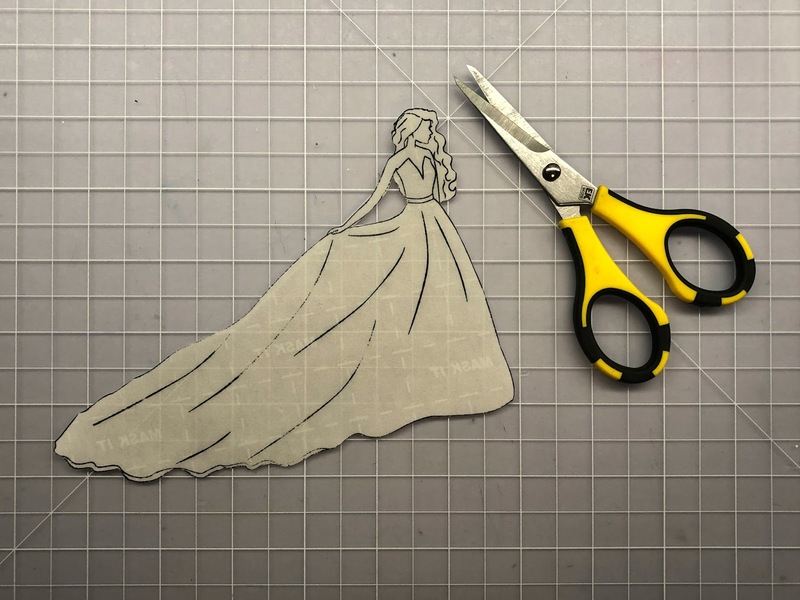 But I have to say the dress one is probably my favorite; what an awesome idea! I must say...EACH of your cards made me STARE - simply stunning!!!! Perfect in every way!!!! 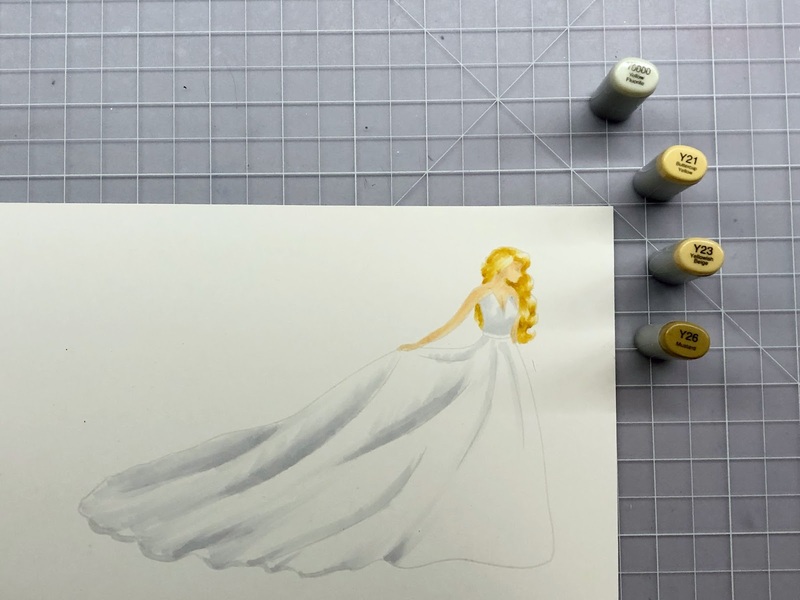 I wish my copic coloring looked like that! I have to admit, the haute dress card is my favorite!